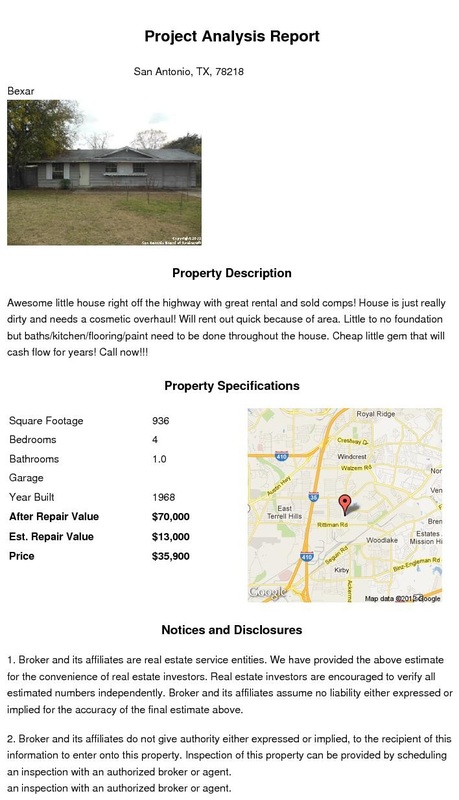 Awesome little house right off the highway with great rental and sold comps! House is just really dirty and needs a cosmetic overhaul! Will rent out quick because of area. Little to no foundation but baths/kitchen/flooring/paint need to be done throughout the house. Cheap little gem that will cash flow for years! Contact Ryan Harthan at 210-710-1617 for more information!